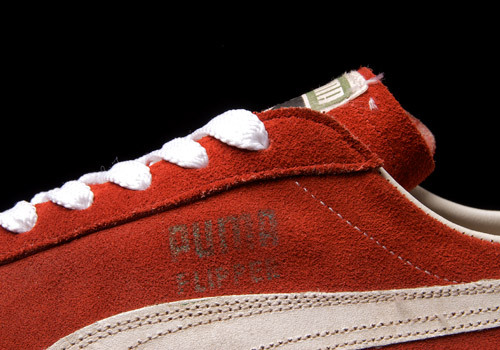 An old, weathered, vintage silhouette from PUMA shrouded in mystery, dripping aged red suede, slashed with white details, and glued to a classic gum midsole baring a unique geomteric patterning on the outer bottom. 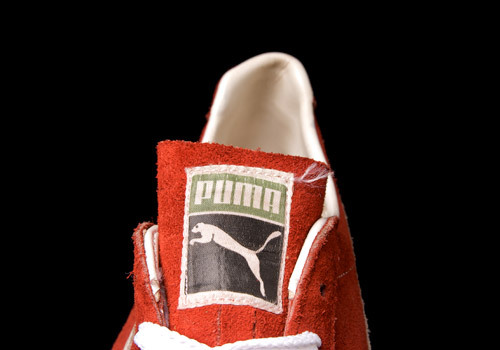 The PUMA Flipper is incredibly elusive, baring no article number, date, nor place of birth. 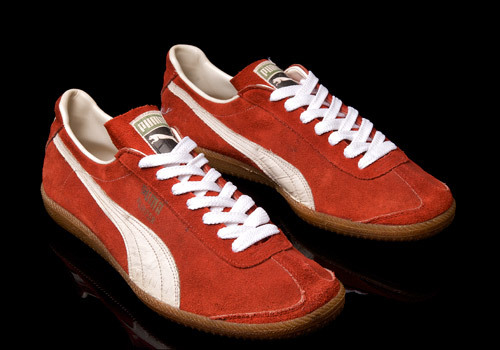 In fact the shape itself is quite alike many other vintage low cut releases from PUMA (though these do appear to have a narrower nature then many trainers they’ve put out in the past) making the dull gold lettering on the side a necessity for correctly identifying this pair. 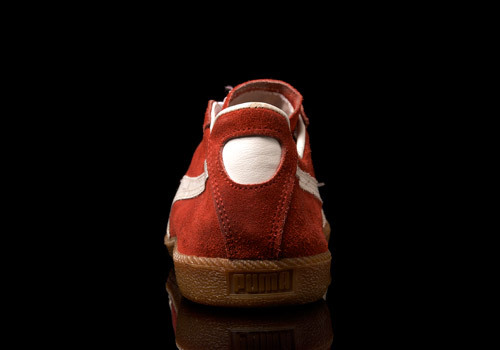 It does however show its personality through it’s subtle form and material cut. 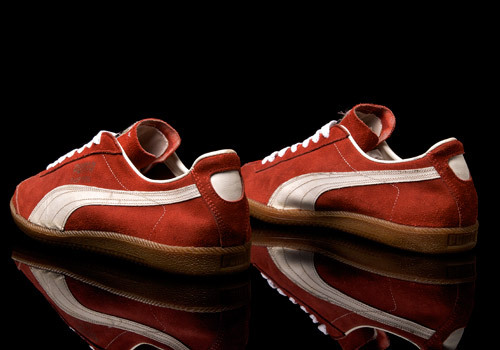 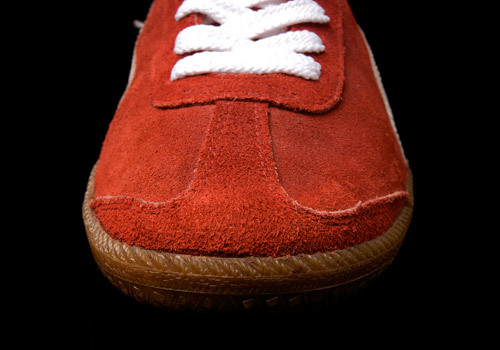 For example, the extra layering of suede on the toe box is significantly shorter and smaller than that found on various other (similar) models from the big cat company, giving the shoe a a slimer and sexier look that might be unfamiliar to many PUMA fans out there. 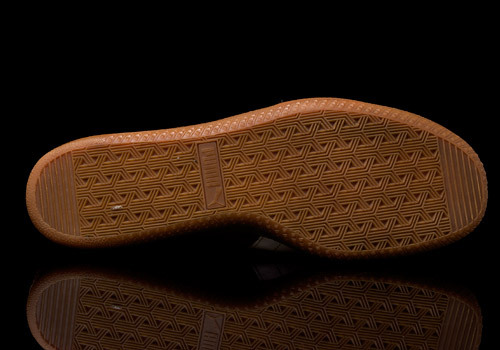 Given the low grip on the outsole itself and thin construction of the upper it’s very likely that these were produced with the purpose of casual wear, though the model name itself will have to remain unexplained at this point in time. 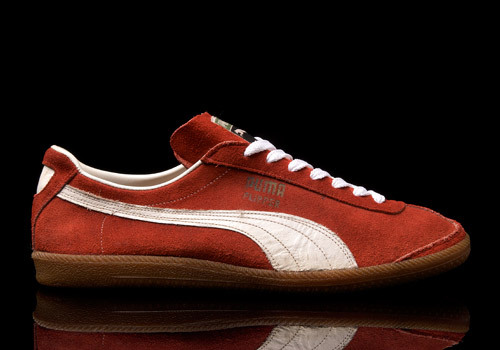 Regardless, it’s no doubt that this is another killer classic from our German cat friends.